I was at an Herbal Festival and I got to talking to one of the vendors. She was selling natural lotions and said most of her products were for pain relief. This got me thinking and I blurted out that "Since I changed my diet 7 years ago I have no more pain, and come to think of it my skin is really soft with no lotion!" I told her I don't eat grains, I eat really low carb and high fat, saturated fat mostly. Then she asked if I had read Mark Sisson's book, Primal Blueprint. Oh yes! That one and many more about this diet I'm on. 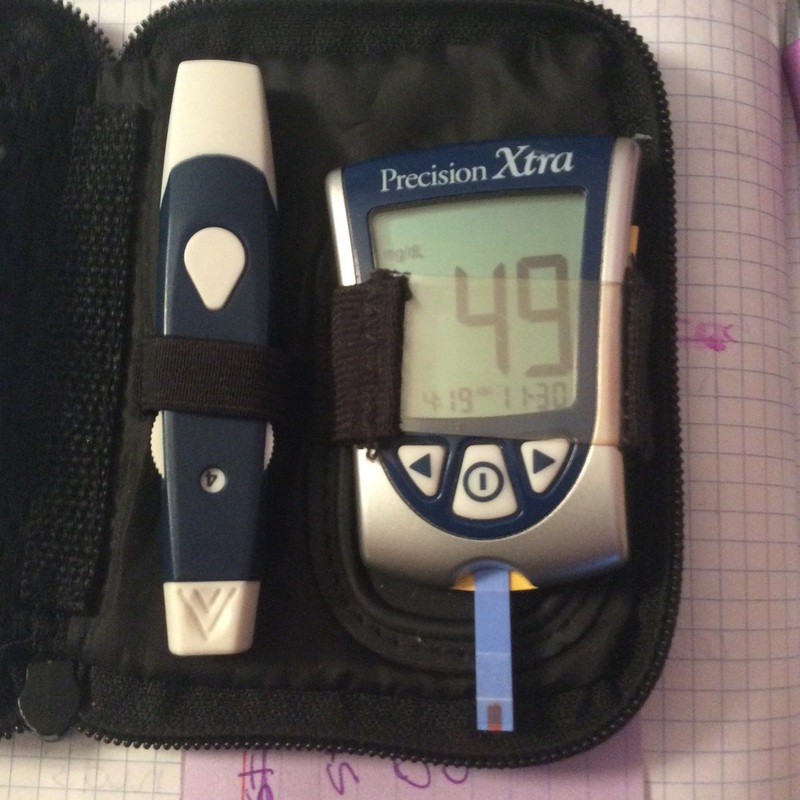 I started low carb 21 years ago to help with my blood sugars and type 1 diabetes. My health improved dramatically and I realized I wasn't eating grains. So this low carb diet was naturally grain free and gluten free! This woman at the herbal fair quoted Mark Sisson as saying, "the worst evolutionary mistake man ever made was planting cereal grains." I agreed. Seven years ago, though, I started eating the ketogenic diet which includes higher fat and fewer carbs. This change teaches your body to burn fat for energy, including your own body fat as well as dietary fat. This conversation had me thinking. Was the ketogenic diet really working for me? 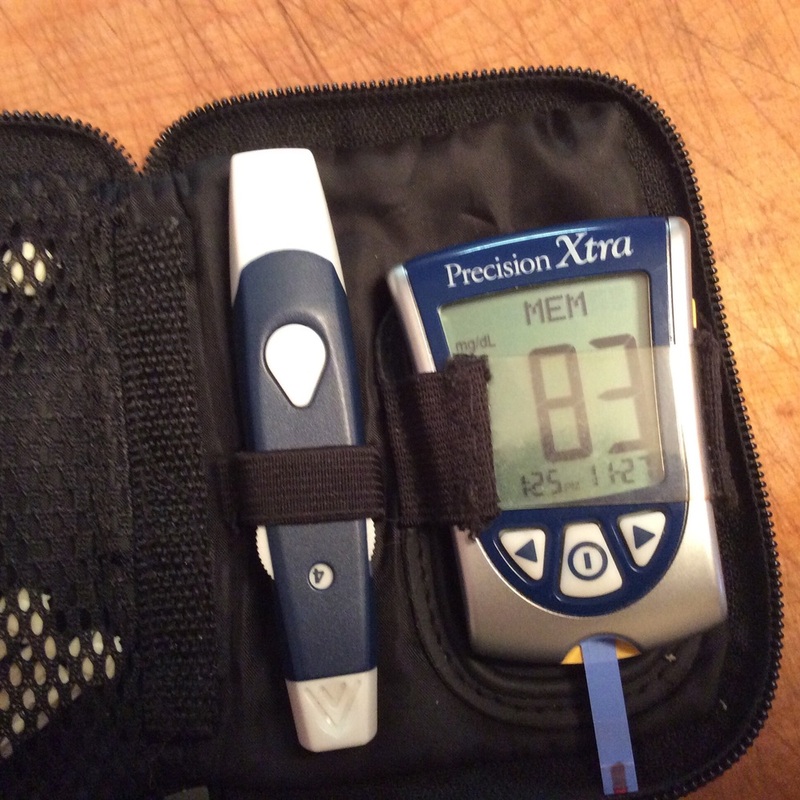 I had read Dr. Bernstein's Diabetes Solution 21 years ago and had started low carb and intense insulin management, meaning 5 shots a day of two different types of insulin. A fast kind and a slow kind. And I started testing my blood sugars several time a day. The shortest history possible. After 7 years, I decided to try the raw vegan diet to heal type 1. 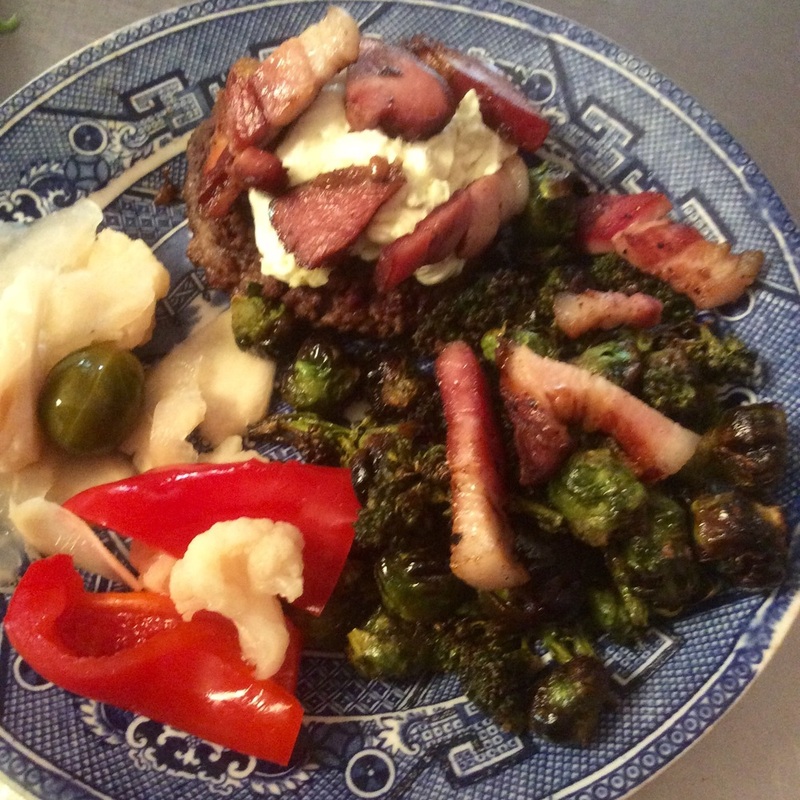 I was doing it as low carb as I could, but after 7 years of Raw, I realized the healing wasn't going to happen, so I graduated to eating as close to 100% locally sourced farm food as I could. As in, if I had to eat meat I would avoid factory farmed meat and buy from ethical farmers. Soon after I started this "locavore" thing, I read about the Ketogenic diet and it's healing abilities, and so added more fat, mostly in the form of saturated animal fat from these beautiful animals. During the raw vegan diet I had put on about 10 pounds and developed painful knees, which I was led to believe are just the result of aging. After I started with animal products, locally sourced of course, and more fat, I put on a few more pounds, which I was reminded was just because I had gone through menopause. I never liked blaming anything on age, I wasn't very happy! I've always been thin, long legged, it's just the genes. My body is lean. But now I weighed 15 pounds more than what felt comfortable on my frame. I made a few adjustments and gradually the pounds came off. I don't really want to get specific because we all have our hang ups with certain numbers. The important part was that I feel better at my new weight, which happens to be the weight I have been for most of my life and I had nothing to do with my age. I am healthier and younger feeling than before. I'm sure there's more but that's good for now. The first several times I made this oil it caused too much of a good thing, if you how what I mean, or I spent too much time on the potty, so now I make the mayo half MCT oil and half another kind of fat/oil. 1cup oil, I use 1/2cup MCT oil with 1/2 cup olive oil or bacon fat, or butter, or lard or duck fat or coconut oil. Pour all the oil/fat until it becomes Mayonnaise. Spicy salad dressing: 1 teas paprika, 1 teas garlic granules, 1 teas chili garlic salt or other seasoning pepper. Ranch dressing: measure 1/2 cup mayo and 1/2 cup sour cream then stir in tiny bit of stevia, 1teas onion granules, 1/2 teas garlic granules, 1/4 teas mustard and other herbs of your choice. Here your creativity rules, as long as you have the basic recipe. As dressings on a salad, over sautéed veggies, as a dip for meats or fish or veggie fries, like turnips or radishes or eggplant of course. As you guys must know I am a lover of good butter. The best you can attract to yourself. I live in the land of enlightened farmers or small farms or Southern Maine, where I can source raw butter from Maine or New Hampshire farms. Yes, I realize I am blessed, but ask around at health food stores or your like minded foodie friends, you may find enlightened farmers among you. Years ago I made real Hollandaise sauce, the kind you cook on the stove whisking forever, till your wrist feels like it's going to fall off. If real Hollandaise is what you want, we'll look elsewhere. If it can't be done easily and quickly you won't find it on this blog. So, probably 35-40 years ago I found blender Hollandaise in a who knows, a magazine? I made it a few times and then it went into hibernation while I went vegetarian, vegan, low fat or whatever form I lost my mind. So when I found my mind again, I knew I had to recreate Blender Hollandaise! I figured I'll just make it like mayonnaise, but use butter and lemon. Butter and lemon are the necessary ingredients to the taste of Hollandaise. 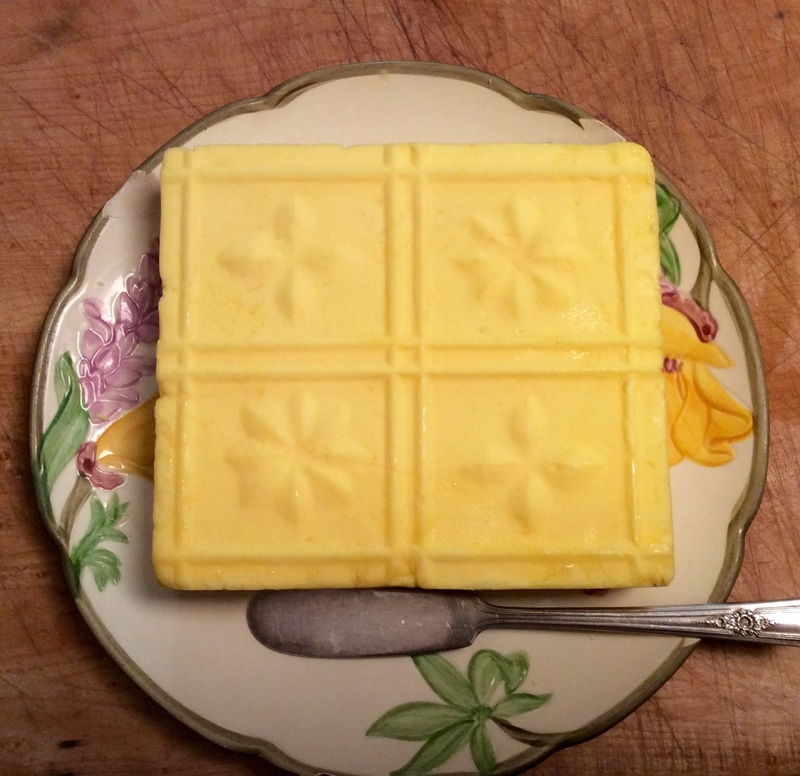 -melt 1 cup of the best butter you can find, that is 8 ounces, very low heat, carefully so it doesn't get too hot! There you have it. This Hollandaise will be spoonable onto your favorite veggies or meat. If you have any leftover you can put it in a jar in the fridge for a few days. It will get solid but when you put a spoonful on warm food it will melt nicely! Try it on: asparagus, cauliflower, broccoli, Brussels sprouts, burgers, steak, fish, shrimp, or anything you want to taste ridiculously amazing! This brownie recipe is easy and quick, if you gather the ingredients first, it really should only take maybe 40 minutes from thought to finish to eating. -First break 3/4 cup pecans into small pieces and toast in a dry cast iron skillet for a few minutes. -Then spread butter or I used bacon fat, whatever you've got on the bottom and sides of an 8 inch square pan, then lay and pat down a piece of parchment paper with enough hanging out two sides so you'll be able to pick up after it bakes. -Melt 1/2 cup butter in medium saucepan, you'll be using this saucepan to mixup the whole recipe! Scrape batter into prepared pan and spread with spatula. Place on middle shelf in the oven at preheated @ 350 to bake for about 30 minutes, check at 25 by touching the top, it should feel set. Cool in pan on a wire rack, then lift out by the parchment paper ends and cut into 16 squares. I like to cut these squares across so they are like bars. 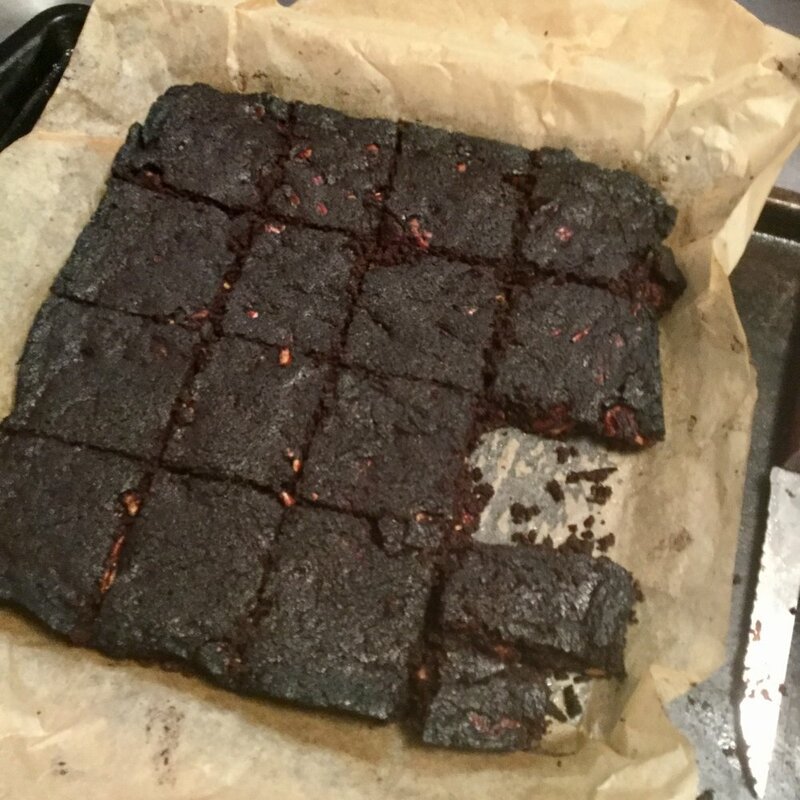 As the brownies cool they will get light and crispy with surprise fudgey bits inside! Yum! Me enjoying my brownie on the go! Even cut in half, these brownies are so, so satisfying! My idea is pretty simple and at first it was just my private experiment, but I thought it would be fun if I could encourage many people to try it. It's similar to The idea of writing 5 things you are grateful for every night before you go to bed. My idea is to write down in a real journal or notebook 10 good things that your condition, mine would be type 1 diabetes, have brought to you. Ten good things every day. You can do it for any condition, problem, issue, pain, anything. Please share with your friends this idea and let's see if we can start a movement. You could occasionally notice if you are feeling better or your numbers are better. But don't dwell on it. Then everyday try to add a new "good thing" that you just noticed. You can change them up. If you are having a yucky day only write a few but don't stop. I have a reason to make good food choices. I keep my body fit. I have made many new friends all over the world who really "get" me. I have confidence that I can manage anything. I know planning and plotting are very beneficial. I have enjoyed studying nutrition for 45 years. I have found a way of eating that will benefit many people. My health is improving everyday. I am very aware of my body, what effect certain foods have on it, what certain exercises, attitudes, activities have on my body. I am learning to love myself. So, you see I went a little overboard with 12 good things, but some days I might be able to do less. I'll say write an average of ten. And yes I'm going to put my pad down and really write in my notebook. I might even have to buy myself a new notebook. You could carry it around with you so you could write a new "Good Thing" down whenever you get a new idea. By the end of the day look at your list to see if you need to add any more. I'll probably give it at least a month before I take stock on if you've noticed any health improvements. Please share this idea, get your friends excited. Let's start a Good Things movement ! And keep in touch, let me know how you are doing. I've pretty much convinced myself after 6 years of eating Lchf that this is the best way to eat for me. Hopefully I've presented that information in my blog and many who read my blog "get it" and are agreeing with my point of view. Lchf has proven itself as one of the fastest growing diet trends in the world. Doctors and diet gurus the world over are placing their patients and clients on this diet to better their health. And individuals have, in droves, begun following the Lchf bandwagon, happily. I just searched on Amazon and, if it's any indication of trends, there are more new Lchf books available than any other diet trend. So I'm here to encourage you readers, by explaining my point of view, to add one more letter to the acronym: LLCHF. 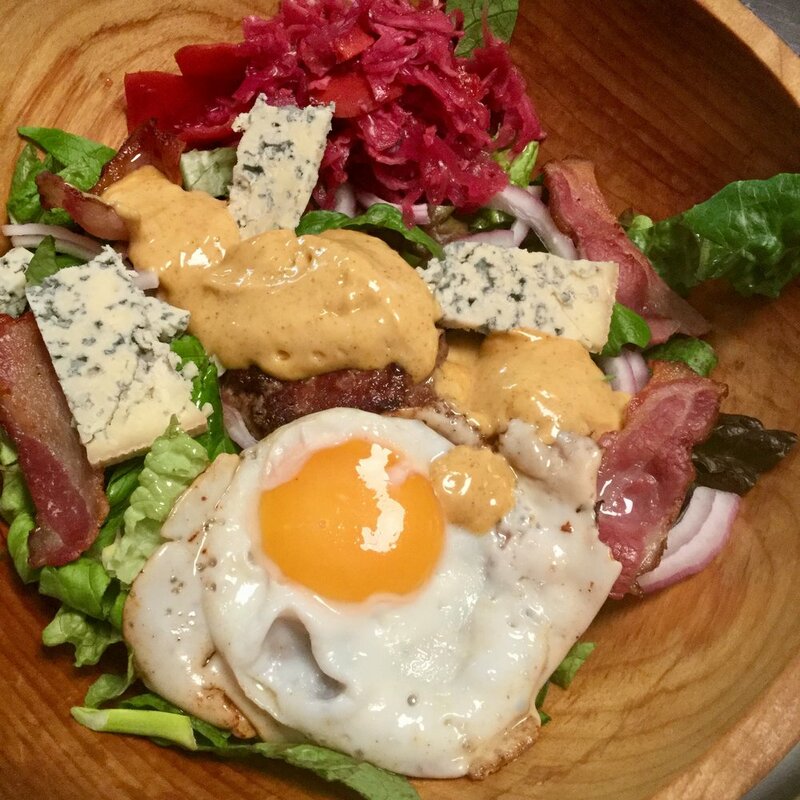 Locavore Low Carb High Fat. About 98% of the foods in my life originate from local, organic farms. Why? I'm certainly not the first to promote this idea. One of the first was Michael Pollen in Omnivore's Dilemma. I first read this book during the gas crisis of 2008-09 and I became convinced saving small family farms was worth my effort. So after reading this book, and many more, and seeing the movie, Food Inc., I became what has been termed Locavore. I have to admit, I love being a member of an elite group. But is it? Some of my peeps are offended by the word elite, like what gives you the right to pay more for your food and live better lives than most? But most important in my mind is "Are You Better Off," or are you healthier? There's not much info out there about the health benefits of eating Lchf using local foods or even if local foods make you healthier. I can only use myself as an example. I've been following the "latest" diet trends for — ask my kids —about 35-40 years. And for the most part I didn't stay with them too long. At the age of 22 I started reading books on health, hoping to find the answer to healing the diagnosis of type 1 diabetes from 6 years earlier. I was convinced that there was a way to heal any condition, using natural means. I was obsessed, well slightly. I also was raising children for the next many years. I read every diet book out there. Fast forward nearly 35 years to 2010 and I became a Locavore. I found farmers markets, farmers, shopping in small markets selling food from local farms. And I found a new, fun hobby of sourcing all my food from local farms, and staying out of big-chain grocery stores. It's easy and fun if you try. westonaprice.org is a great resource in finding farms in your local area where you can buy grassfed meats, raw dairy, and vegetables. Now, what effect has this change had on my health? For the past 40 years I have eaten all natural foods, no preservatives or additives in my food, no packaged food at all, unless I could buy it at a health food store. That's how I raised my kids. They learned to read by reading labels, sugar, wheat flour were first sight words and if the label had any chemical name they knew to put it back on the shelf. But 6 years ago, I did a complete turn around. Eat only food from local farms. That's it. Of course, there are a few exceptions. Tea, maca, shredded coconut, walnuts, Brazil nuts, coconut oil... Do you notice something? No ingredient list. One word ingredient. Recommendation — the use of locally sourced bacon fat, lard and butter enhances my LLCHF way of life. And drinking at least 3 quarts of locally sourced spring water brings me health and happiness. findaspring.com is a wonderful resource for finding a natural spring near you. By the time I finished writing this blog my spell check recognized LLCHF ! Progress!